Are you guys ready for a new Armadillo Mystery? Because it’s only days away, according to my publisher, Pro Se Press. Which means – choo choo! – the hype train is leaving the station! All aboard! But in the meantime, I have a present for everyone. With permission from head honcho himself, Tommy Hancock, I am posting the first chapter of THE DAME WAS A TAD POLISH. What kind of trouble has Dilbert Pinkerton gotten himself into this time? Let’s let Dill describe his new adventure. The name’s Dilbert Pinkerton: mutant armadillo, private detective. I dig for the truth. The truth is, this is my first murder mystery since moving to Nevermore Bay and it’s a doozy. This guy was found impaled on a flag pole nearly thirty stories high. Innards spilling all out in the open like they decided to take a vacation from his body. Captain Greyer called me in to consult, but after my first case in Nevermore, the police ain’t fond of having me around. Neither is the star witness to this case. Lily Pad – TV actress and mutant frog – is staying right across the street from where the body was found. In fact, her apartment window lined up in perfect view of the dead guy. Almost like the murderer wanted to make sure Lily saw it when she’d open the curtains in the morning, drinking her morning java. Thing is, though, I can tell Lily’s hiding something. She’s connected closer to this case than she’s letting on. Worse, anti-homoanthro sentiments are already pretty strong with me in town as it is. Maybe if I can figure a way to get close to her, keep her safe until all this comes to a head. When I lived in Toronto, I had the chance to go to three nerd conventions: Toronto Expo, Wizard World, and Anime North. To be honest, I became a little disillusioned with conventions, especially after Toronto Expo. It was enjoyable to meet some famous people, like Ted Dibiase (and Virgil), Nicholas Brandon, and former wrestler Kurrgan. Plus, meeting all sorts of my favourite comic book writers and artists. But after awhile, it just felt like an over-commercialized flea market. The biggest companies rented huge boots, like Fox promoting the Alien Quadrilogy on Blu-Ray. It seemed like such a waste of space for what should be a chance to mingle with celebrities or get an art commission by an artist. For years, I didn’t bother going to Martime conventions like Hal Con. 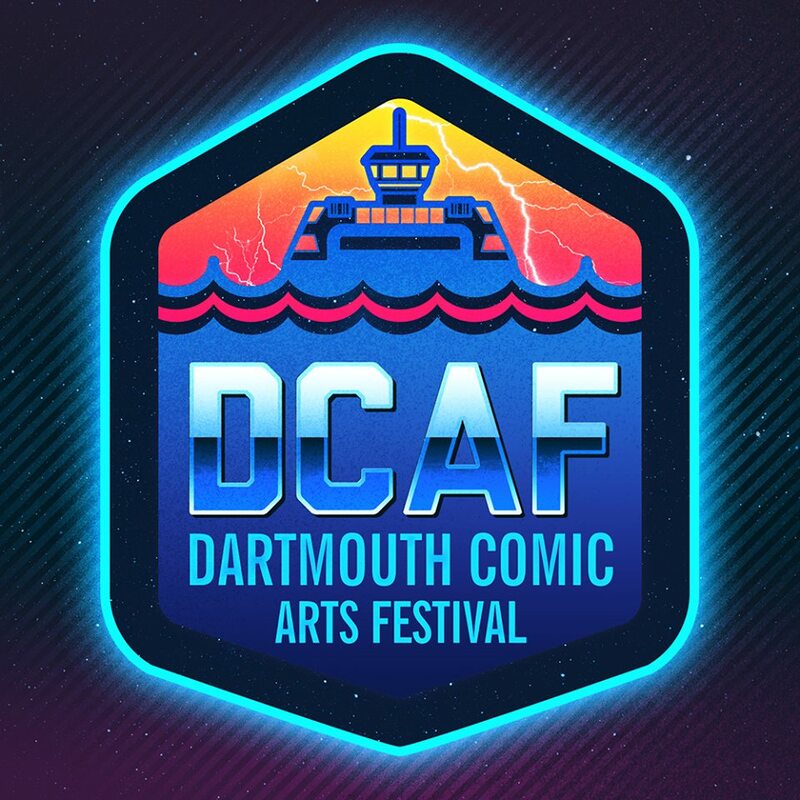 Today, though, I had the distinct pleasure of going to the Dartmouth Comic Arts Festival. 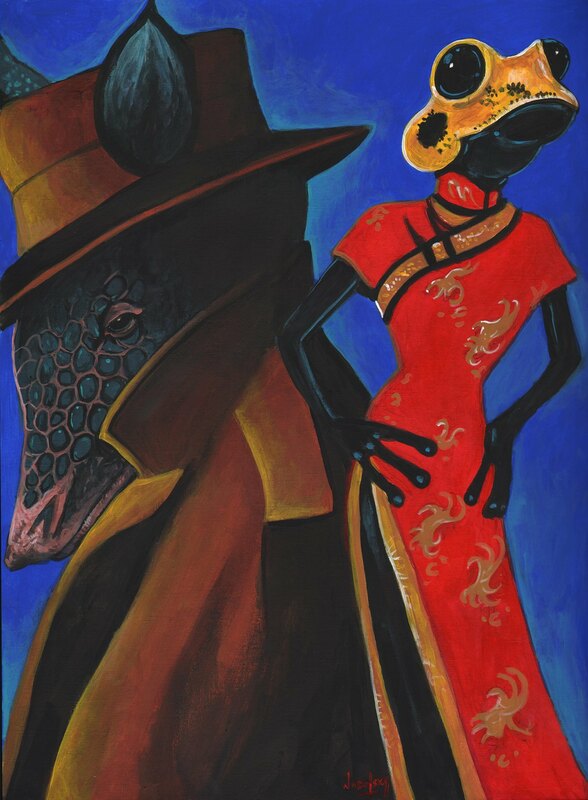 Check out Larry Nadolsky’s AWESOME cover art for The Dame was a Tad Polish. This year, my second novel – The Dame was a Tad Polish – is coming out. That I can say “second novel” still feels surreal. When Pro Se Press published The City of Smoke & Mirrors two years ago, it didn’t fully hit me until I held a physical copy in my hands. I don’t believe I’ve blogged about my history as a writer, but I’ve been writing since Grade 2. I’d like to think I’ve honed my skills since writing in crayon (with an accompanying picture). Still, since The City of Smoke & Mirrors was released, I’ve listened to criticisms (my own and others), studied more about writing (and editing!) practices, and tried honing my skills. That’s what I want to discuss. 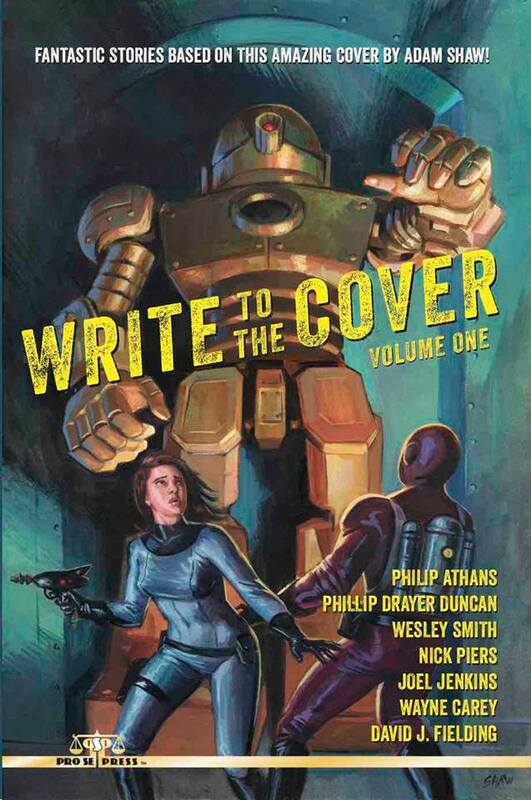 Write to the Cover Volume One is now available! Have you ever seen the episode of Deep Space Nine called Far Beyond the Stars? The episode shows Captain Sisko imagining himself as a pulp writer in the 50s. In one part of the episode, the editor handed out various pieces of art, whereby he asked the writers to write a story around the art. It was process commonly used back then by various publishers. Pro Se Press decided to bring this concept back with WRITE TO THE COVER VOLUME ONE. Adam Shaw’s brilliant art inspired seven writers to submit a piece for this work. Best of all, it features a new story by yours truly: SARA SAVIOR & THE INTERGALACTIC ARMOURY. I haven’t written much space-faring sci-fi and I had a blast writing this. I tried writing it in a Buck Rogers style with plenty of action and crazy concepts. I think it worked out really well. Buy it now at Amazon or Smashwords. Huh. My story opens with an image of a vase. Happy coincidence, I suppose. Most of my writing is totally on the fly with little planning. When I write, it’s with a rough sketch in my head and little else. This especially goes for my writing form, which is basically whatever goes down on the page at that time. Matrimony, then, was one of the rare times I tried experimenting with the written form. Minor spoilers here, but I tried making the form match the story being told. Two characters literally unite into one, like a gestalt. To match this in form, the story when they’re apart (and fighting) is done in short sentences. When they’re united, the form changes to purposely longer sentences. And…eh, I don’t know. I liked the idea behind the experiment, just not the execution. I might revisit the concept sometime and play with the form and story combined. This was written in my last year studying English Literature, so I think I was trying to prove to myself I could do fancy writing tricks like famous writers. I should note that this story makes references to things within the superhero universe that Dill operates in. It is not, however, considered canon. It was announced tonight that Netflix series Daredevil has been renewed for another season. 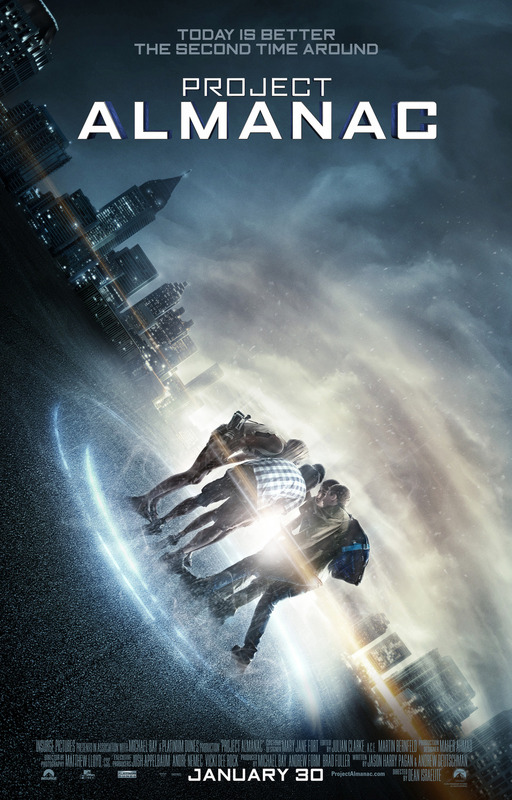 I just finished the first season and that’s great news. I love the design for Daredevil’s costume at the end and there’s plenty of places they could explore given how the season closed. But there’s something that this Forbes article raised: “Is it possible that Netflix and Marvel are really willing to commit – in the best of cases – to four original Netflix series a year if all the series end up becoming breakout hits?” This relates to their plans including other series: AKA Jessica Jones, Iron Fist, Luke Cage, and along with Daredevil, a culmination of the four in The Defenders. Now, don’t get wrong, I’m very excited for more Daredevil. I’m also optimistically excited for the other three (and a half, counting Defenders) shows. That said, between all these planned shows and the line-up of movies coming out, I’m starting to feel some burnout.